Hyundai has extended its Scrappage Scheme to the 1st quarter of 2018. This is in line with recent scheme extensions from Ford, VW, Kia and others. Kia follows Toyota , Ford and others and has extended its Scrappage Scheme into 2018. Volkswagen joins Ford & Toyota in extending their VW Scrappage Scheme into 2018. New cars under this scheme must be ordered by 2 April 2018 and delivered by 30 June 2018. VW are expecting a surge before the £500 tax hike on new diesel from April 2018. The new Polo has a £2,000 discount instead of £2,800 for the previous model. The GTE is no longer available under the scheme. e-Golf scrappage is reduced to £4,000. will be extended to the end of January 2018. Ford are extending the Ford Scrappage Scheme into the first quarter of 2018. Ford has seen over 10,500 vehicles scrapped and replaced with cleaner ones. Also Ford are including the Ford Ranger in the scheme for the first time as well as the most popular new Focus, Fiesta and Transit CV models. “The Ford scrappage scheme has been so well received by our customers and I’m pleased to announce its extension in to next year. 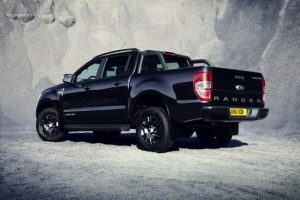 We have an excellent product line-up and our scheme is applicable to one of the broadest ranges of vehicles, including the segment leading Ford Ranger. Diesel filters can easily break – stop start urban driving contributes to this as the filters require prolonged high heat to work properly. Some drivers opt to remove them – as this is a legal procedure, which cost a few hundred pounds instead of filter repair which can cost £1,000. However driving a vehicle with the filter removed could lead to £1,000 fine for a diesel car or even £2,500 for a diesel van. DVSA says it has found 1800 vehicles on the road without the required filters. It is possible to make it look like the filter is intact but by cutting into it, removing the inner filter and then welding it shut again. This is currently enough to pass an MOT which only requires visual inspection of the DPF. The DVSA is planning new tests from May 2018 to detect tampered filters. Dr Thérèse Coffey, Secretary of State for Environment, Food and Rural Affairs (DEFRA), responded on 17th October 2017 to a written question on 9th October, from DUP MP David Simpson (Upper Bann), on plans to introduce a Government scrappage scheme. In July this year the Government launched the UK plan for tackling roadside nitrogen dioxide concentrations. The Government has required local councils to produce local air quality plans which reduce nitrogen dioxide levels in the fastest possible time. The Government is considering how to support people impacted by local plans and will consult in the autumn on measures to support affected motorists, residents and businesses. This could, for example, include retrofitting vehicles, support for car clubs, improved public transport offers or targeted vehicle scrappage. A number of vehicle manufacturers have recently launched their own national scrappage and trade in schemes that offer substantial discounts off the purchase of a new vehicle. A cross party group of 67 MPs has previously indicated support for a national Government supported scrappage scheme. Any Government announcements on a national scrappage scheme would likley be after the Autumn Budget Statement on 22 November. New car sales were down 9% in September, and 3.6% for the year, reports SMMT. Total car sales were 426,170 for the month. Sales are likely to be down for the year for the first time since 2011. SMMT say this is down to consumer and business confidence, political uncertainty and confusion over plans for rules on air quality. Diesel sales were down 21.7% while petrol sales were down only slightly by 1.2%. Alternately fuelled cars (hybrid, electric etc) were up 41%. 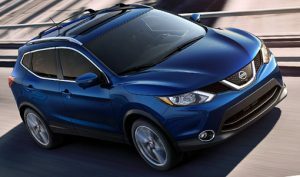 Top seller for September was the Nissan Qashqai. Since ‘dieselgate’, the push towards electric powered cars and the recent government announcement to not allow any more sales of passenger cars solely powered by hydrocarbon fuel beyond 2040 – it’s worth taking a moment to consider the price movements of second-hand diesel cars and the finance deals on new cars. There is mixed opinion on where the price of second-hand diesel cars are headed. Some of the most popular model diesel cars fell in price between the first and third quarters of the year by up to 25% according to data from Motorway.co.uk. More recent data from Autotrader seems to suggest second-hand diesel prices steadying — with second-hand car buyers still searching for diesel cars more than any other fuel type. Given the uncertainty, it may be prudent to consider carefully the future value of any petrol/diesel car you may be purchasing, whether or not it’s second-hand or brand-new. If you are relying on a Guaranteed Minimum Future Value (GMFV), which is generally a good thing and often offered with PCP (Personal Contract Purchase), be aware that in the event of your car being written off or stolen, you are likely to receive only the market value of the vehicle from the insurer, despite having GMFV.